The ECDC journal Eurosurveillance has published a rapid communications by researchers from Hong Kong and Nigeria who tested nasal swabs and blood samples for evidence of past or present MERS-CoV infection in Nigerian camels at an abattoir in Kano last January. Eleven percent of the nasal swabs were positive for MERS RNA, while 96% of the blood samples tested showed antibodies to MERS-CoV, although phylogenic analysis showed the viruses in Nigeria to be genetically distinct from the ones found on the Arabian Peninsula. We report high MERS-CoV seroprevalence in camels gathered in an abattoir in Nigeria with relatively high detection rates of virus in nasal swabs. Phylogenetic analysis revealed that these viruses are genetically distinct from viruses reported from camels or humans in the Arabia peninsula and cluster with, but are clearly distinct from those reported from Egypt. However, it is important to note that these Nigerian viruses remain genetically closely related to other MERS-CoV with an overall nt similarity of > 0.98 for the S2 gene. Thus these are almost certainly pertaining to one viral species, and very likely (though not directly studied in the present work) also form one serotype. 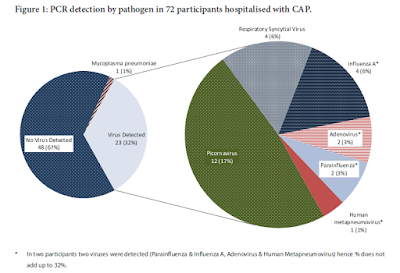 It is not known if the MERS-CoV in Nigeria has similar zoonotic potential to viruses currently circulating in the Arabian peninsula. Other explanations for the lack of zoonotic MERS in Africa include differences in patterns of exposure to infected animals or animal products or differences in human susceptibility to MERS-CoV. Alternatively, MERS may indeed be occurring but unrecognised in Africa due to lack of awareness or diagnostic testing. One of the challenges in tracking the human impact of MERS, or Avian Flu, is that in many of the developing regions of the world surveillance and testing for exotic diseases is all but nonexistent. Unless a disease has an unusual and familiar hallmark – like a hemorrhagic fever – it can all too easily be lost in the background clutter of other (often deadly) viral infections. MERS, like avian flu, usually starts out with a fever and a `flu-like illness’. Not all cases are severe, but some percentage will progress to pneumonia. Unfortunately, without laboratory testing there is really no way to differentiate MERS (or H5N1) from an array of other – far more common – respiratory infections. The 2009 journal article The burden of respiratory disease in Nigeria describes Nigeria’s growing incidence of tuberculosis, pneumonia, HIV-related pulmonary infections, and other respiratory diseases and decries the the paucity of testing, surveillance data, and treatment options. Whether the Nigerian MERS variant poses a zoonotic threat remains an open question, but we’d be hard pressed to exclude the possibility simply because we’ve yet to see any cases diagnosed in that region.